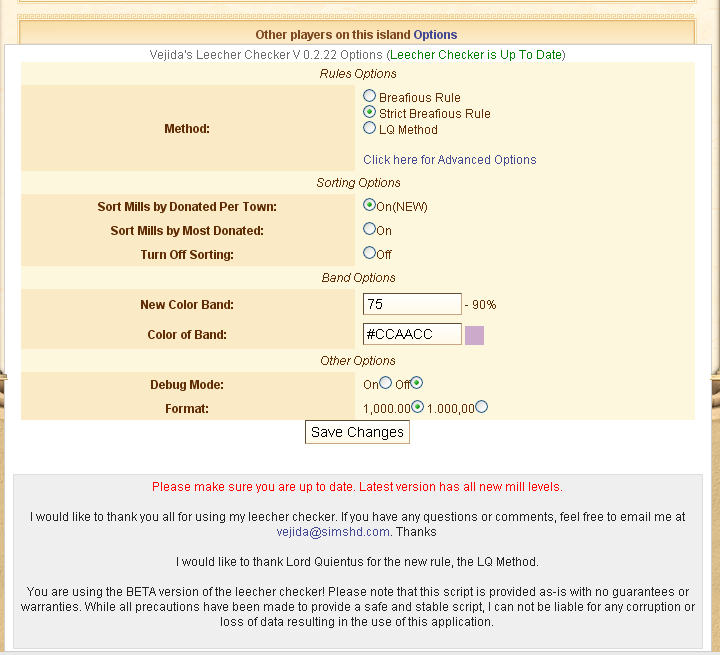 Vejida’s Leecher Checker is a program built for Ikariam using GreaseMonkey. Simply, it checks to see if other users are leeching from your mills. It has 3 different methods to choose from. The default one is considered the most widely used method. It has 4 to 5 different color codes. 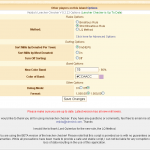 the default color codes are as follows. Light Red(Pinkish):[BAD LEECHER] Means they are under 90% of what is required. Light Blue:[LEECHER] Means they are under 100% but more than 90% of what is required. Light Green:[VERY GOOD] Means they are over 110% of what is required. This rule is known as the Breafuios Rule found here. 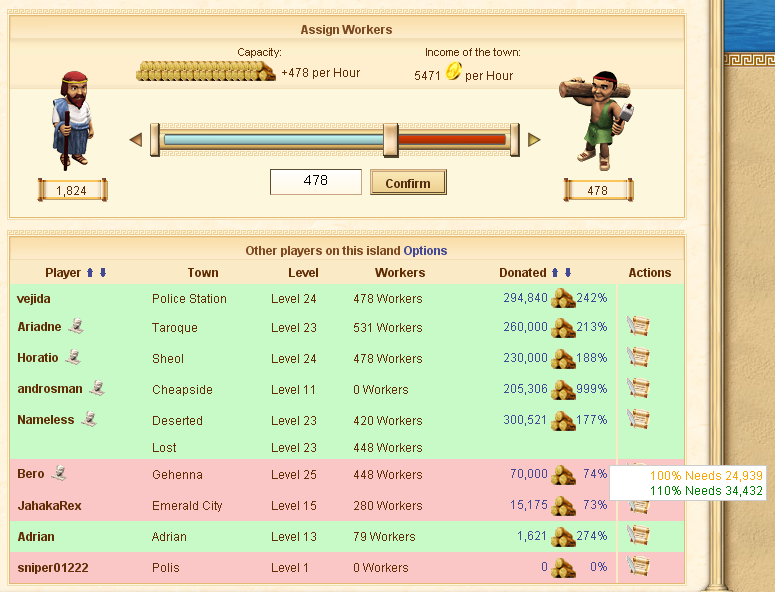 This rule when finding the level sawmill will actually make the chart of workers go up by 1.5 times. If you have more then 1 city it will count all. If you have any questions read the Breafuios forum first, if that doesn’t explain it, then read the forum here. Also check the Charts below. If you still need help, you can post on the forum. This Rule follows the same principles as above but will not modify the chart. Having “Helping Hands” will not penalize you!